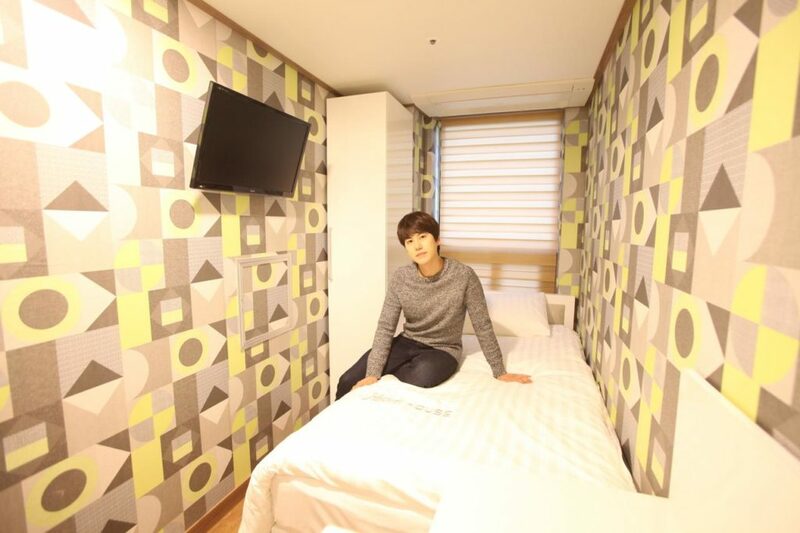 Myeongdong accommodation : Seoul Travel Expert Recommendation. If you want to enjoy shopping and eating delicious food at once? Then Myeongdong is the perfect place! 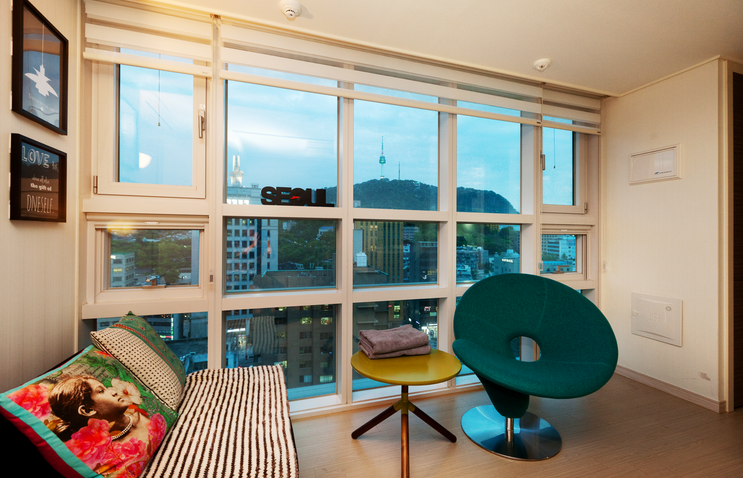 Here’s our list of the best accommodations in Myeongdong, Seoul. 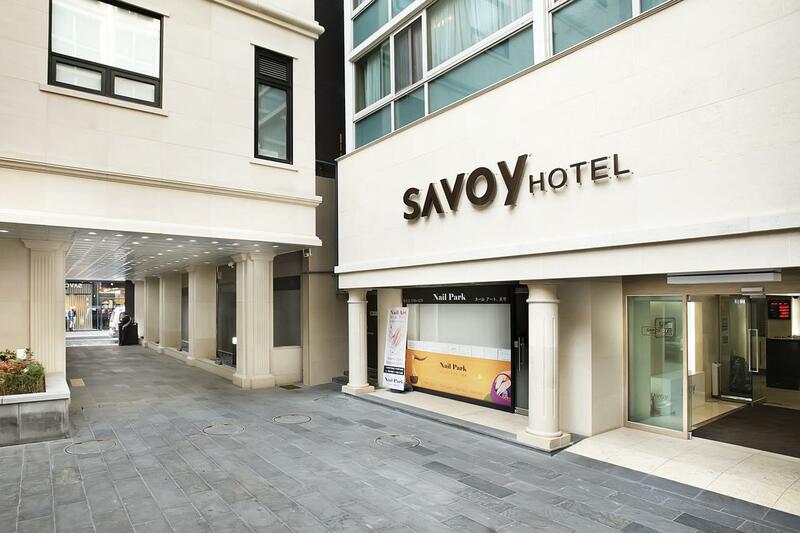 There are many luxury and budget hotels in Myeongdong area . But it is quite expensive for group travelers. We recommend hotels especially for couple traveler! 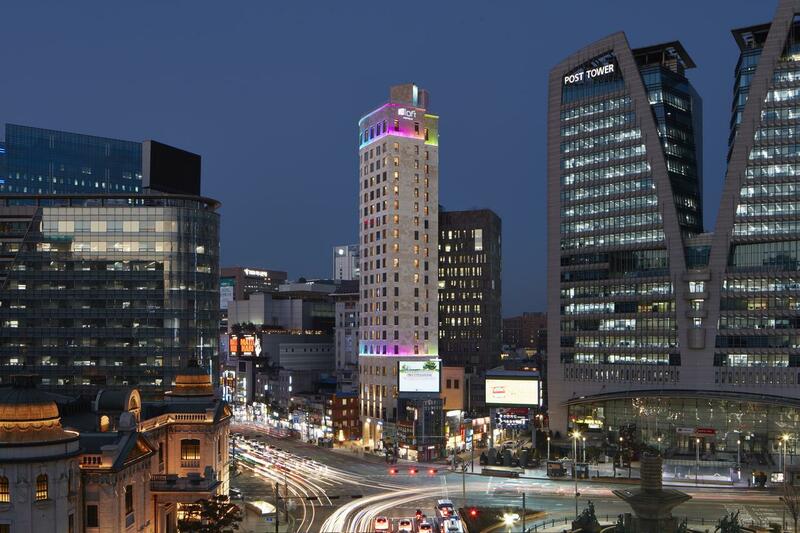 This trendy, modern hotel is located in Myeongdong shopping street. 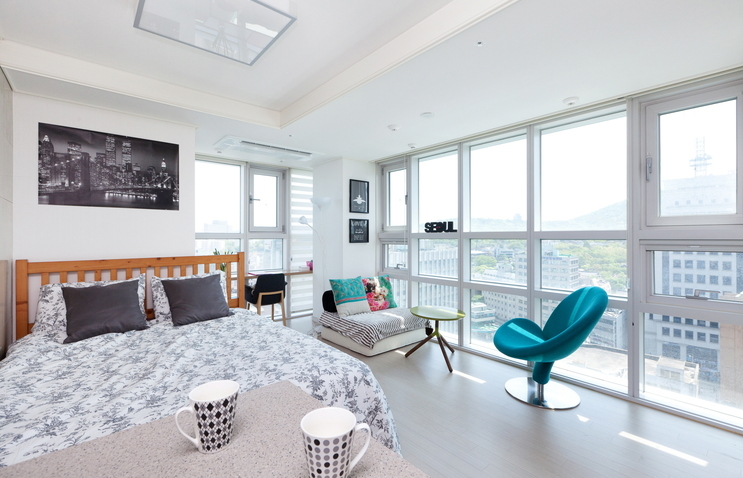 just 5 min to Myeongdong station!Walking distance to Myeongdong, Namdaemun market, N seoul tower, Cheonggyecheon. GS25 (convenient store) right below the hotel. 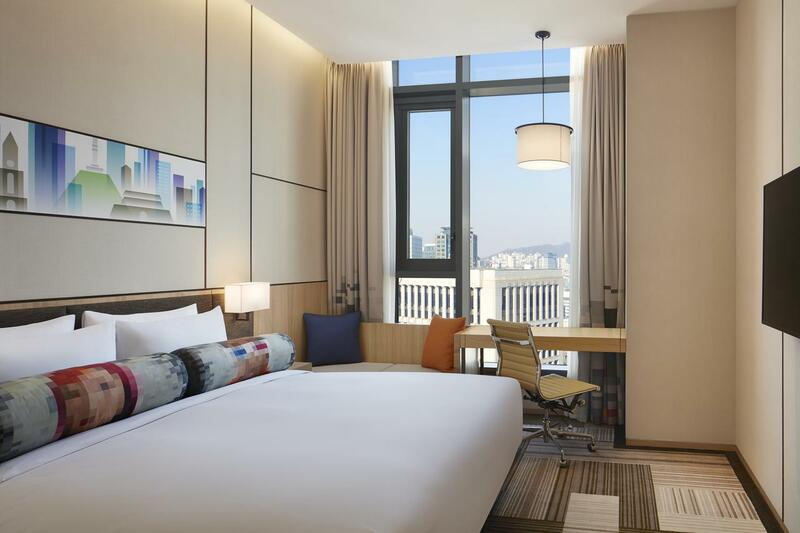 Aloft Myeongdong hotel is Newly built hotel in Myeongdong. It is a W Hotel brand and part of Starwood, boutique hotel. They have Modern and stylish non-smoking room. Easy to walk to all the tourist attractions, markets, duty free store. We advice you to try have on the highest floors room as they have stunning views on the city. 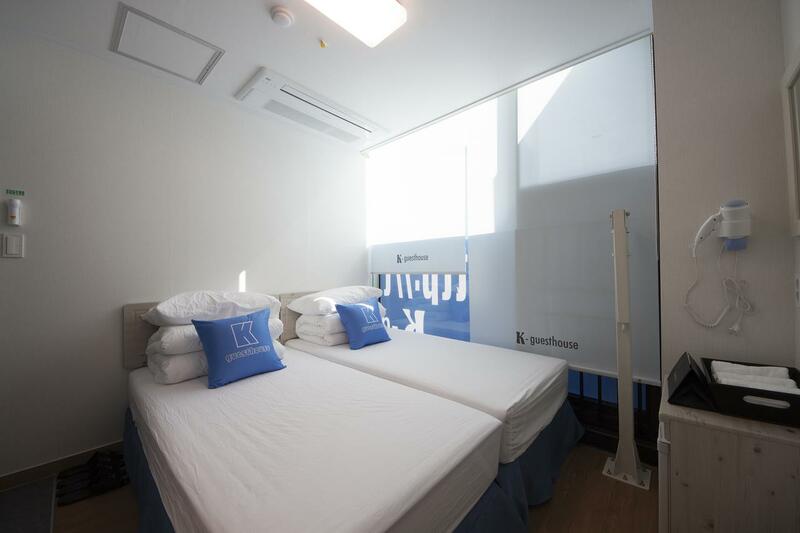 K-guesthouse Myeongdong 2 offer shared kitchen, free wifi, towels for the guest. The guest room is quite small, but very cost-effective. Guesthouse have a various type of rooms. Single room to 6-people room. It takes less than 10 minutes from Myeongdong station. How about save your money for staying guesthouse and buy some cosmetics in Myeongdong? 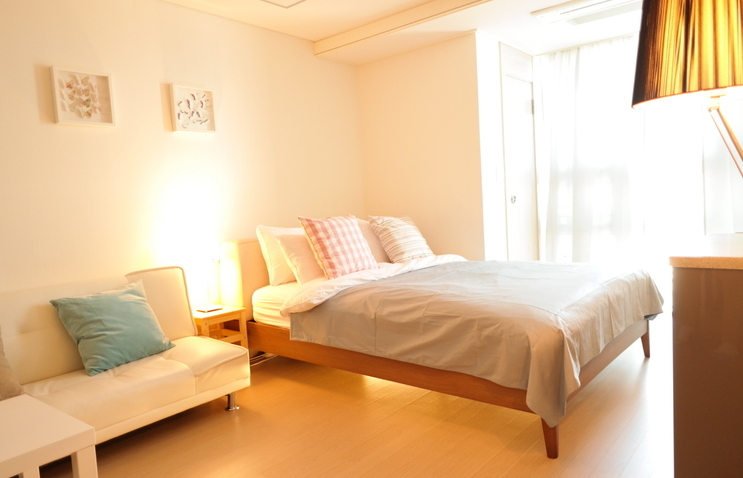 Then K-guesthouse Myeongdong is perfect choice to you! Are you fan of Super junior? 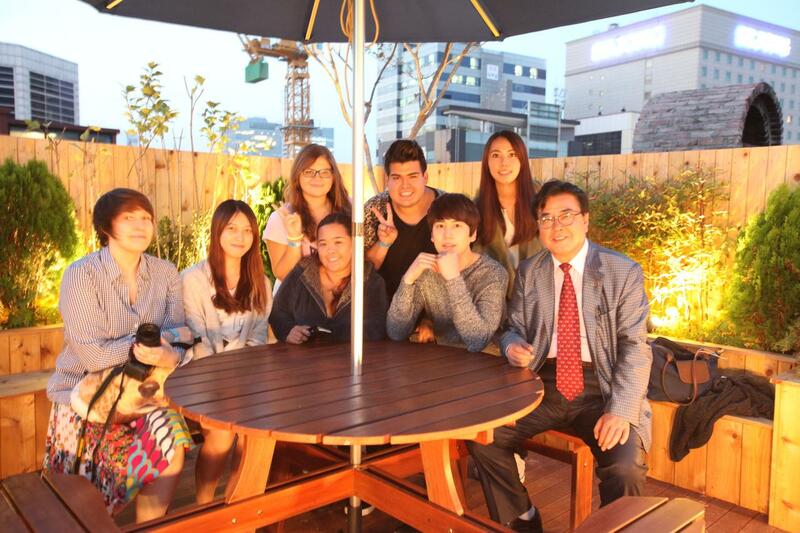 Chokyuhyun’s parents run this guesthouse!! 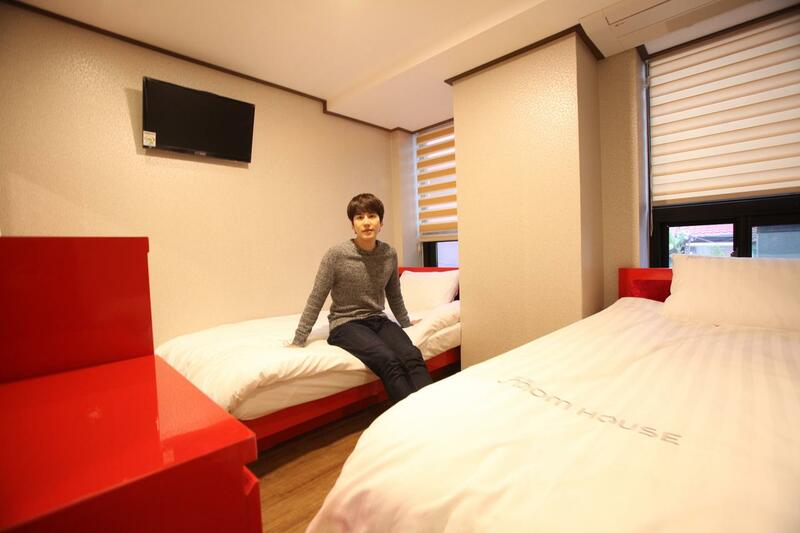 If you are lucky, you can have a chance to meet Kyuhyun in the guesthouse. 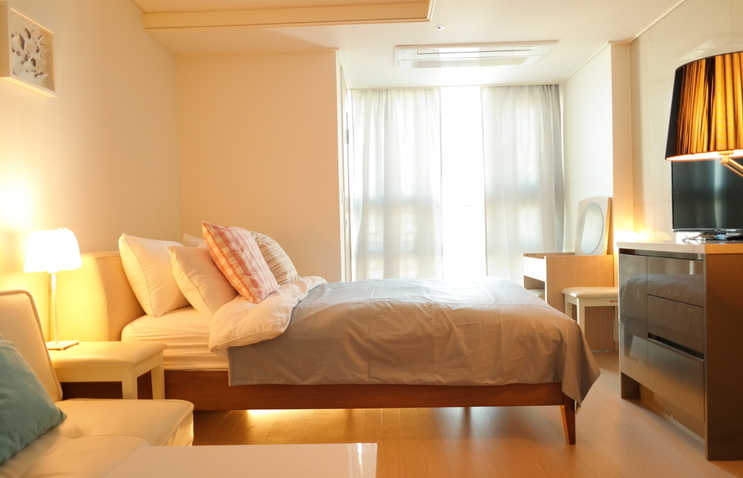 Offering free WiFi and a 24-hour front desk, Myeongdong Mom House is situated 100 m from exit 2 of Myeongdong Subway Station (Line 4) and 800 m from Namdaemun Market. Daily continental breakfast is served at the on-site café. Also you can try Hanbok free on the rooftop. 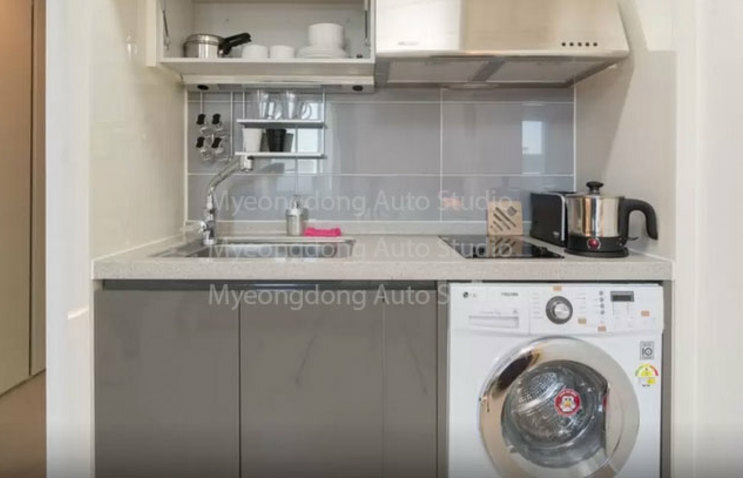 Do you want budget and nice accommodation near Myeongdong? 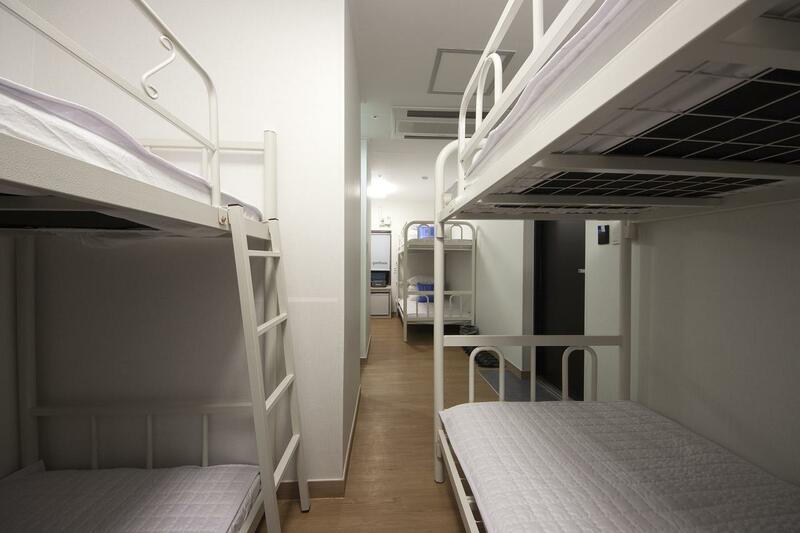 Studio apartment is perfect for group traveler. If you want to use entire unit just with your friends and family, You should book this place! You don’t have to share Kitchen, bathroom, living room, bedroom. You can order delivery chicken and enjoy Chimaek(Chicken and Beer) in the studio. It is just like your home! Very close to Myeongdong shopping area, takes 10 min for walk. Chungmuro subway station(line 4,3) is 1 min by walk. Chungmuro area is residential district, so you can take a rest quite than Myeongdong. This studio apartment features 1 queen size bed that can accommodate up to 3 people. You can enjoy eating, drinking, and shopping within walking distance from the property. Chungmuro Subway station and Airport Bus station is within 50M distance from the Studio Building. It takes 10 min for walk to Myeongdong. This studio apartment features 2 queen size beds that can accommodate up to 5 people. This property provides AC, cable TV, Wifi, Washer and a fully equipped kitchen. If you travel with a baby, you can use the washer usefully. Also, kitchenware are fully equipped. How about enjoy some Korea food for your own and save the money? 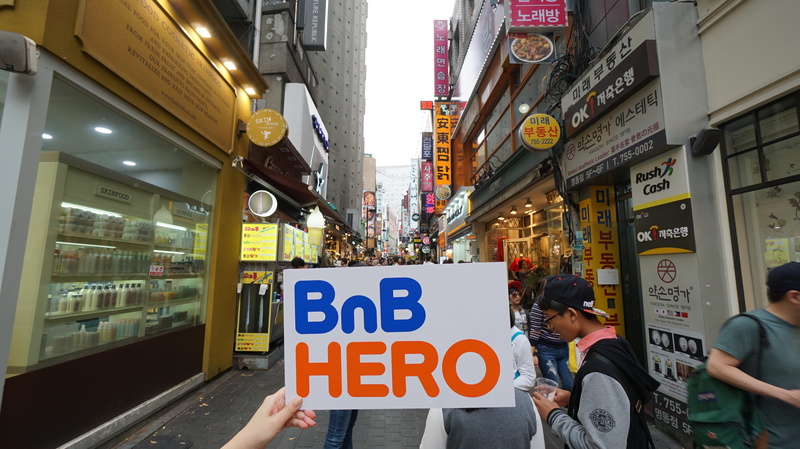 You can find other accommodations in Korea on our BnBHero Website ! This entry was posted in Accommodation, BnBHero Insights! 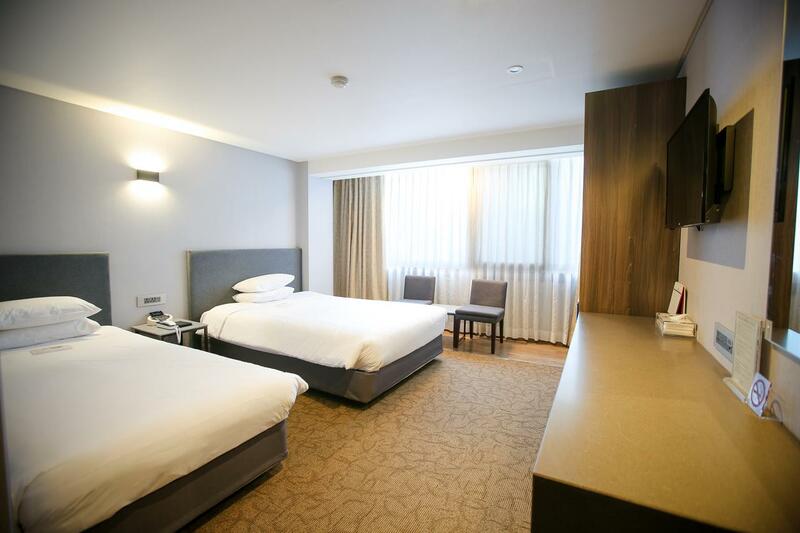 and tagged Myeongdong, myeongdong accommodation, myeongdong hotel, seoul guesthouse, seoul hotel.